There are six bedrooms available in this quaint, bright home in Valencia, right near 2 university campuses. All of the bedrooms are fully-furnished and feature adequate storage space for your personal belongings. Each tenant has an individual key for their room to maintain security, as well. The apartment has an equipped and spacious kitchen, so you won't be fighting for space with your roommates. There are two clean and tidy bathrooms, as well—again, no time wasted fighting for shower time! 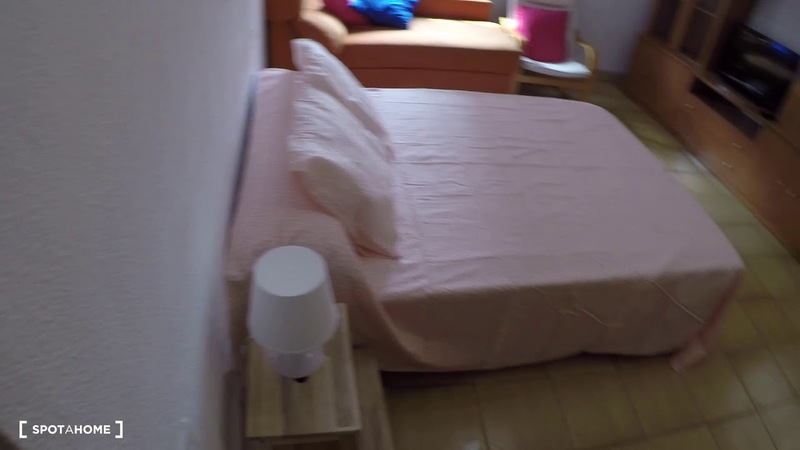 This area of Valencia is the absolute perfect place for any student or professional to live, as the property is right near the University of Valencia. If you live here, you'll also be surrounded by some spectacular green space and historical sites to explore. A 5-minute walk away will take you to Consum, your local grocery store, which is also neighboured by a gym, if that's your thing. Walk up Carrer de Pare Tomas to have a bite of traditional Spanish food at 4-star Restaurante Maria Mentira. The rooms are well-furnished and relatively spacious! The property is very close to university campuses. A 1-minute walk away you'll find bus stop Port - Eduard Boscà, servicing buses 2, 3, 4 and N8. 1 block down your street is bus stop Eduard Boscà - Passeig de l'Albereda, where you can catch buses 18, 90 and N90. The property is nearby metro stations Aragón Ayora (lines 5 and 7).